A sweet indulgence, without all the extra calories — this skinny peach lemonade is our new favorite summertime drink! When it comes to beverages, I’m mainly a water drinker. However, if I’m going to indulge, it’s not soda — I’m all about lemonade! There’s something about that sweet and sour concoction that I can’t resist — in fact, I craved lemonade with all of my pregnancies! Regular, flavored, I love all types of lemonade. I’ve even made edible lemonade slime for the kids to play with! 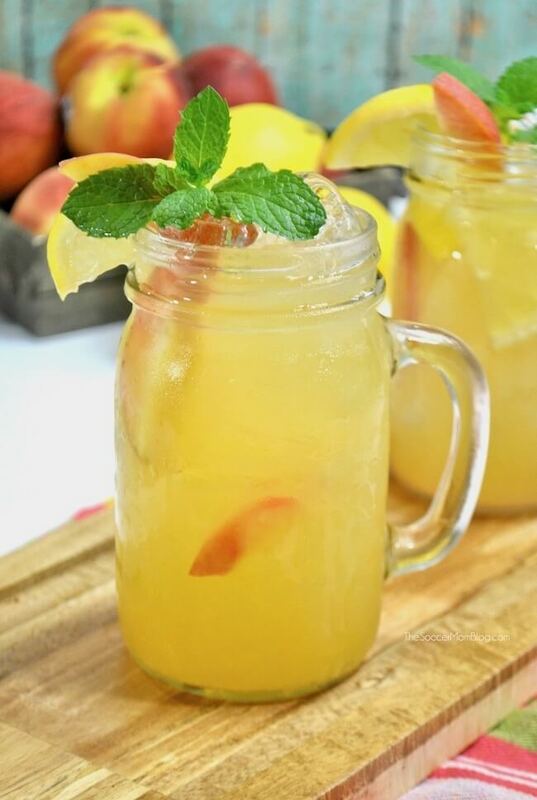 That’s why I’m so excited to share this homemade sugar free peach lemonade! 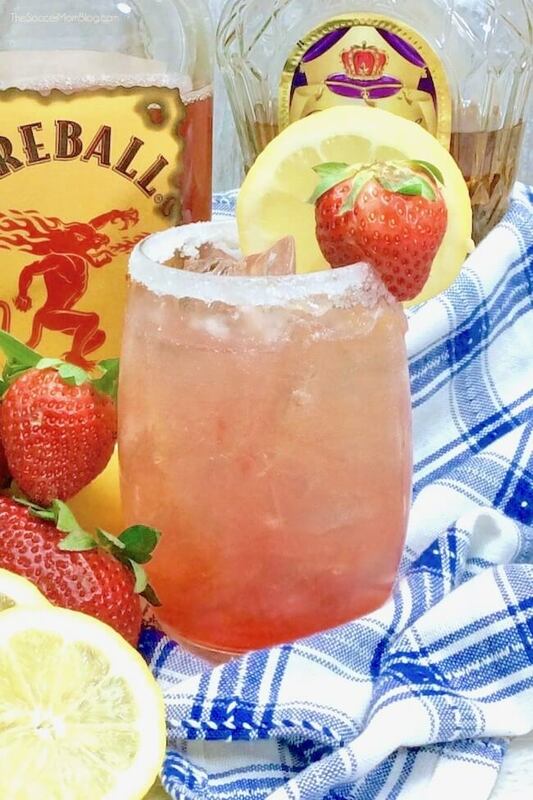 It’s so flavorful, but there’s no sugar added so you don’t get all those calories from sugar and syrup-laden lemonades. 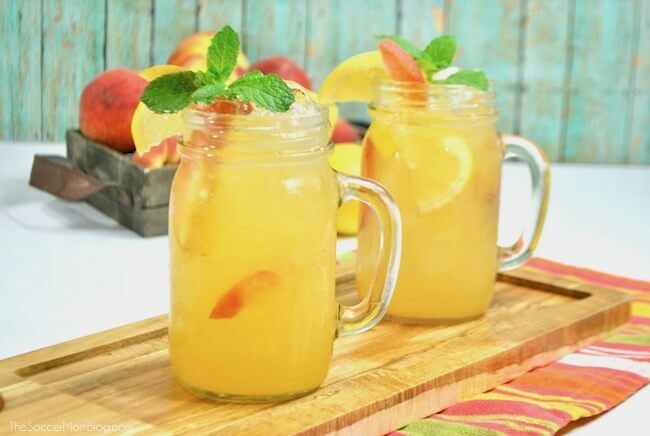 Made with simple, real ingredients like fresh fruit, and a touch of stevia, this skinny peach lemonade is a delicious, refreshing treat that won’t bust your diet. Not gonna lie, I totally love me some Chic-Fil-A lemonade! But if I can make a delicious alternative with half the calories, that is a win-win in my book! 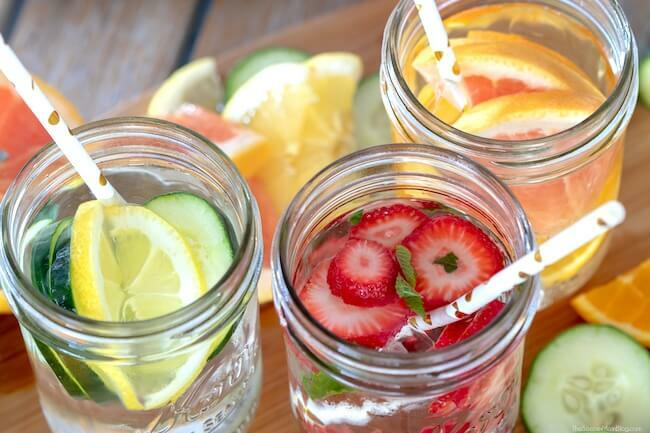 Related: Be sure to try our 5-calorie fruit-infused water too! For your convenience, I’ve included shop-able ad links to some of the products used to make this recipe; read our disclosure policy here. 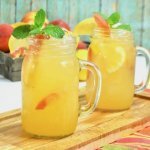 A free printable copy of our peach lemonade recipe, with full ingredient amounts and directions, is available at the bottom of the post. Keep reading for bonus prep tips or click here to jump to printable recipe. 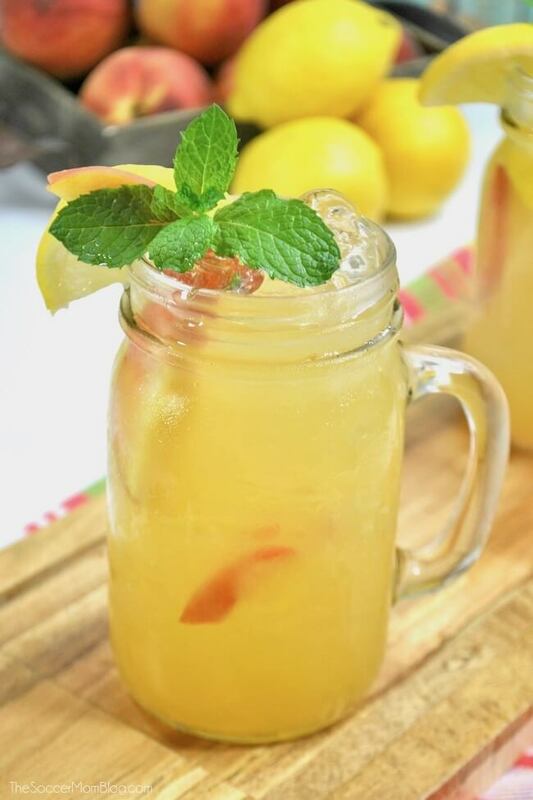 Note: This sugar free peach lemonade recipe makes about 4 (8 ounces) servings. This skinny peach lemonade recipe takes a little longer than fresh squeezed lemonade, but that is because we are essentially making a sugar free peach simple syrup. So there is cooking and cooling time involved. Trust me, it is SO worth the extra time! Another thing that you’ll want to make sure of is to keep the skin on the peaches while you cook them down. This helps keep pulp from taking over your peach simple syrup. (Though you do want to remove the pits/seeds). Once you’ve reduced your peach simple syrup and chilled it, always strain it to remove the big chunks of peaches and most of the pulp. (It’s ok if a little bit of the pulp works it’s way through). I find that a stainless steel mesh strainer works perfectly for this job! Scroll down below the photo for the full printable copy of this recipe. Enjoy! If you love this recipe, rate it! Feel free to tell us what you think in the comments too. Cut peach halves into slices, about 1/2" thick, leaving skin on. Add peaches and stevia to a medium saucepan, then fill with water. Bring to a boil, then reduce heat. Allow to simmer uncovered for 5 minutes. Remove from heat and set aside. Allow to cool for at least 10 minutes. Once cooled, pour the peach mixture into a blender and blend until smooth. Pour peach puree into a freezer bag or storage container and refrigerate. When peach mixture is fully chilled, remove from bag or container and pour into a pitcher through a strainer to remove the pulp. Stir fresh lemon juice into pitcher. Keep refrigerated until ready to serve. To serve, pour over a glass full of ice. Garnish with fresh mint and peach slices.